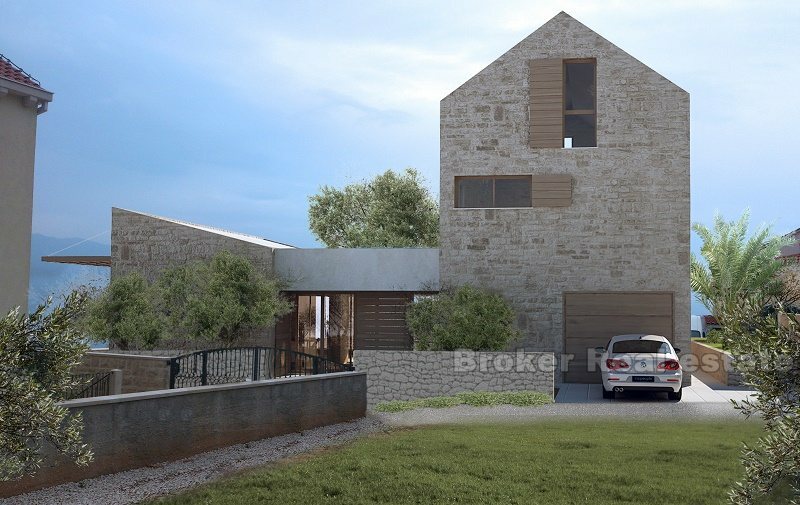 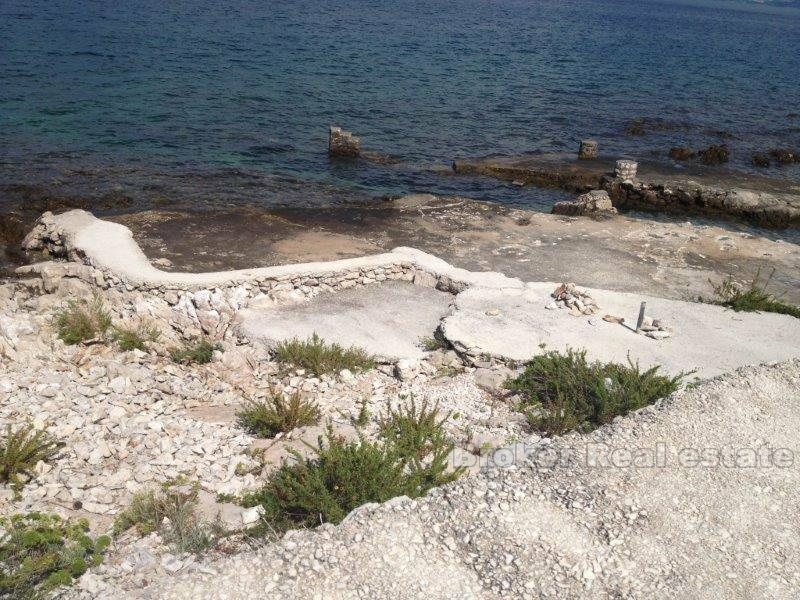 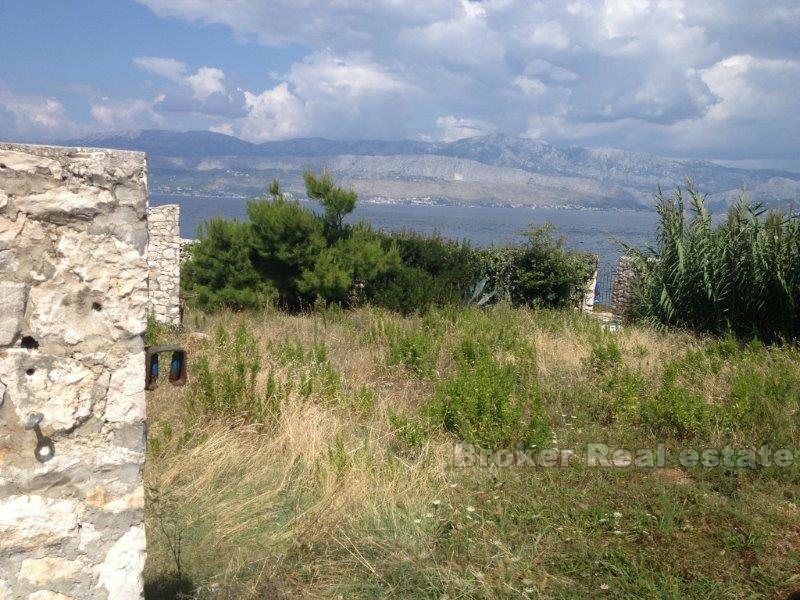 Building plot in the first row to the sea, 590 m2 with complete documentation ready to start construction. 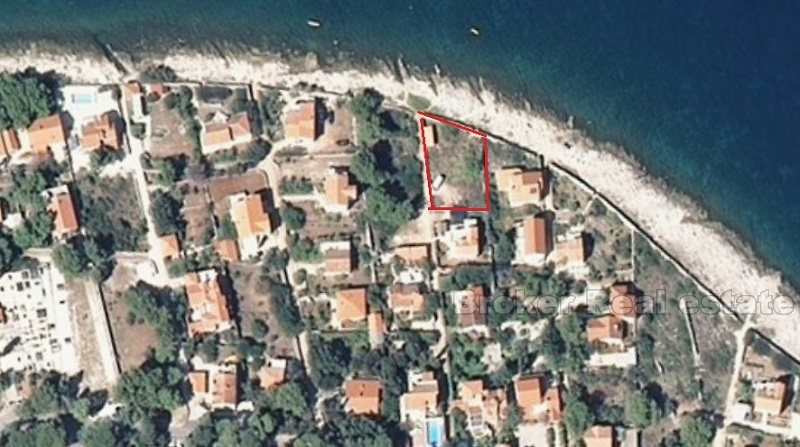 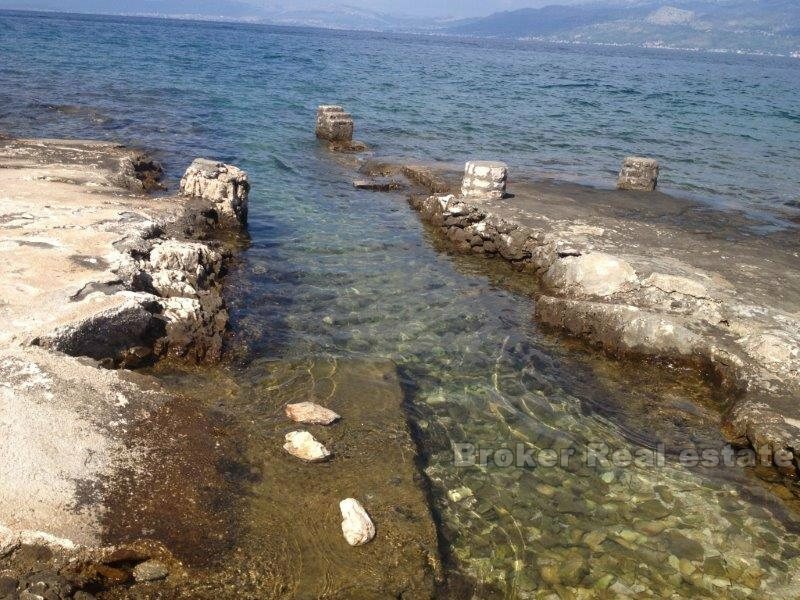 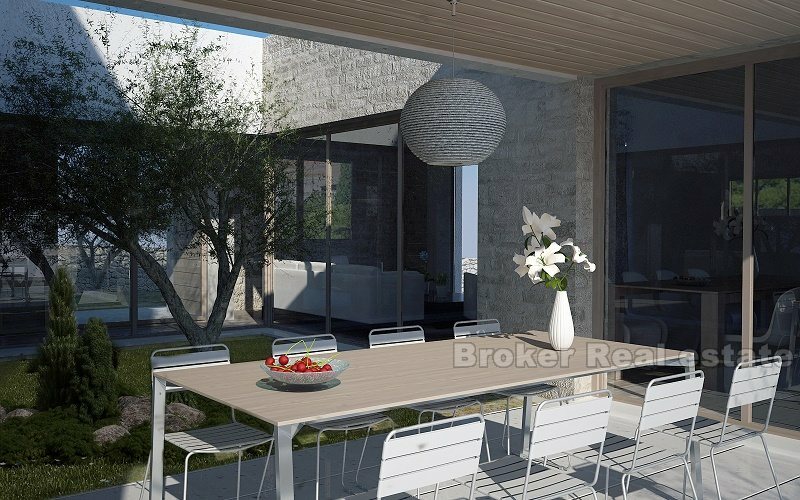 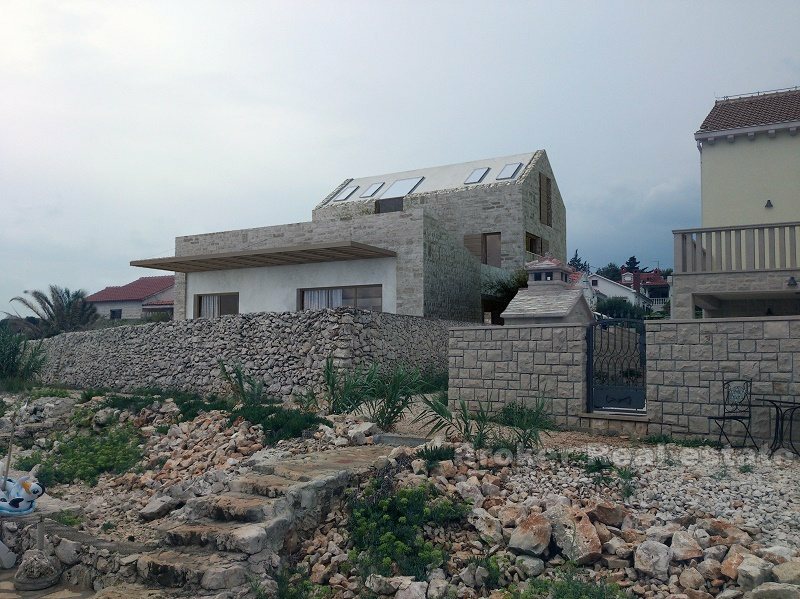 Located on the north side of the island of Brac with direct access to the sea. All connections in the vicinity of the land. 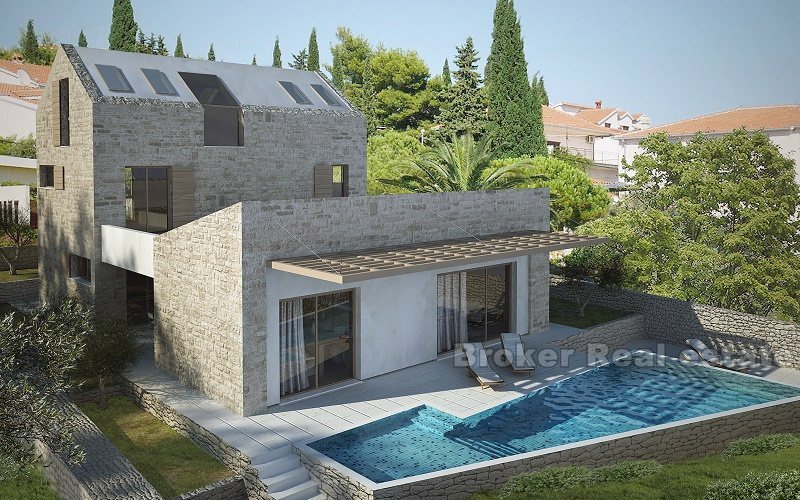 The land has a complete project documentation for the construction of luxury villas with pool gross floor area of 370 m2, is ready to begin construction.